Welcome to the Explore Chicago blog! Whether you’re a first-time visitor looking for “must sees” or a Chicagoan or seasoned traveler searching for hidden gems, we’ll have something here! Our blog will feature free events and suggested itineraries, from easy-to-complete day trips to epic, cross-neighborhood adventures. For your convenience, you can sign up to receive our blog posts as daily email updates, or as a feed in your favorite blog reader. To sign up, look in the right-hand sidebar of this page for “Sign Up for Daily Updates” and “Subscribe through your favorite blog reader”. 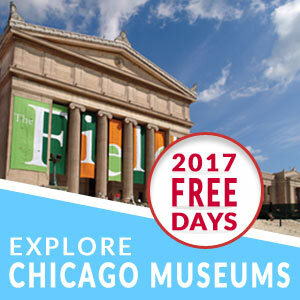 For even more information on events, tours and programs and lots of great tools to help you explore Chicago, visit: http://www.explorechicago.org/summer or join the conversation on Twitter and Facebook.